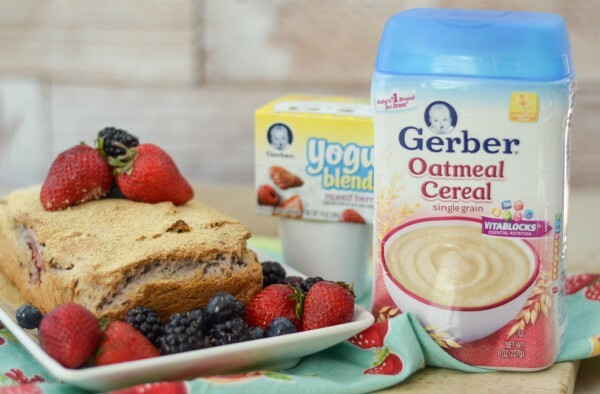 Did you know that you can cook delicious recipes with Gerber Cereal? It’s true! 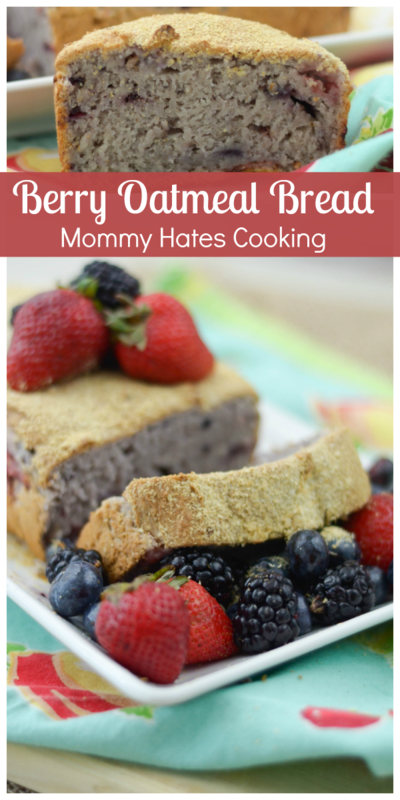 I guarantee your family will love this Berry Oatmeal Bread. 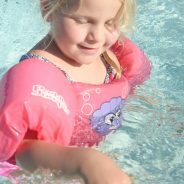 This is a sponsored post written on behalf of The Women Bloggers in association with @KendalKingGroup and #SoapboxInfluence; however, all thoughts and opinions are my own. Did you know that you can cook delicious recipes with Gerber Baby Foods? Yes, you sure can and they work out so beautifully! Now, stick around too because I am giving away a $50 gift card too! 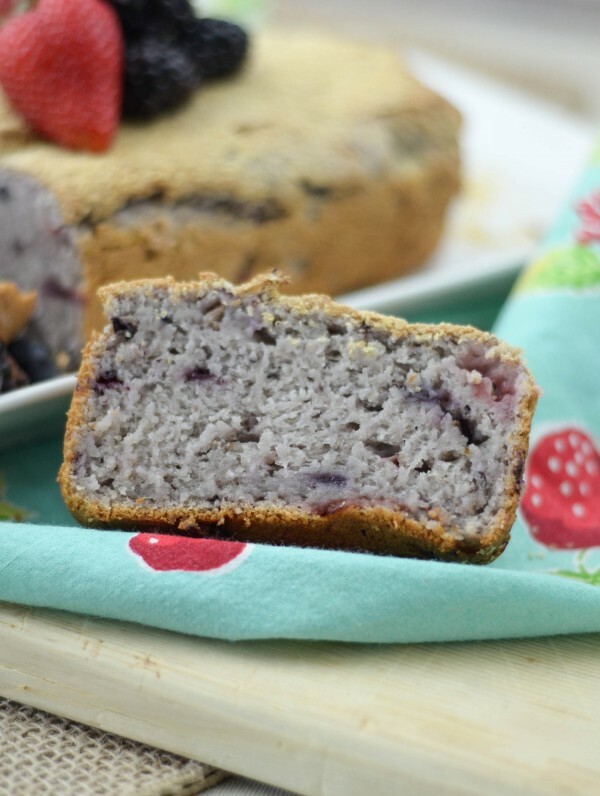 This past week I decided to combine Gerber Oatmeal Cereal along with their Mixed Berry Yogurt to make this wonderful Berry Oatmeal Bread. This bread literally lasted about 24 hours in our home. My son kept asking me for more, the entire household loved it and they never would have guessed that I used baby food. Honestly, I wish I would have thought to use baby food in recipes many years ago, especially when my daughter was younger. The Gerber Cereal is fine enough that it works wonderfully and helps me skip grinding up oats to put into recipes. It’s a great addition to smoothies too. Gerber offers 4 different types of cereals, Single-Grain, Multi-Grain, Oatmeal & Banana, or Lil’ Bits Oatmeal Banana Strawberry. I decided to use single-grain for this bread; however, multi-grain would be a great option as well. There are so many reasons why this is a great option for baking with and one is that it’s iron-fortified. I can expect to get a great serving of iron when I use the cereal and it has Vitablocks blend of B Vitamins, Vitamins E and C, iron, zinc, and calcium. By using the cereal it allows me to get lots of nutrients into my family. I’m going to help you get started too by giving away this $50 gift card! 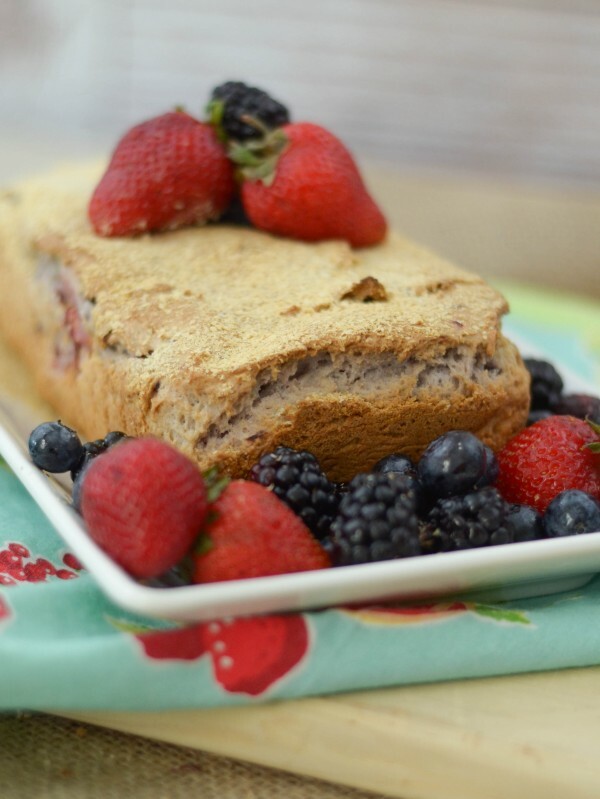 Immediately as I keep seeing berries come into season, I knew that we needed a little Berry Oatmeal Bread in our lives. 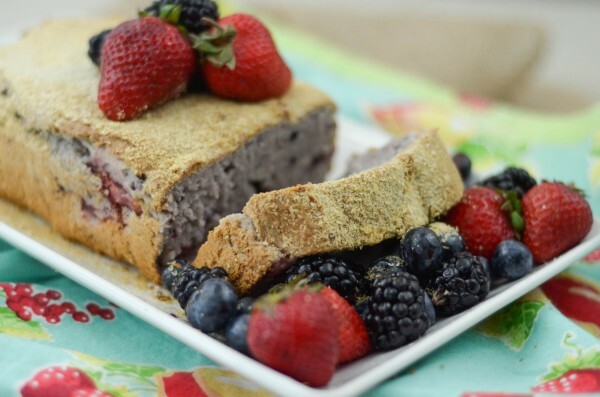 I mixed strawberries, blueberries, and blackberries to create this bread paired with yogurt and cereal. It was a delightful treat either for breakfast for a snack throughout the day. My daughter was even able to try it as she is finally growing out of her strawberry sensitivity that we discovered when she was a baby. 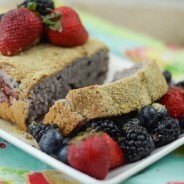 Are you ready for a delicious bite of Berry Oatmeal Bread? It’s time! Be sure to check out even more recipes at #CookingwithGerber on social media. Let me know what some of your favorites are! Combine all ingredients in order in a large mixing bowl, folding in the berries. 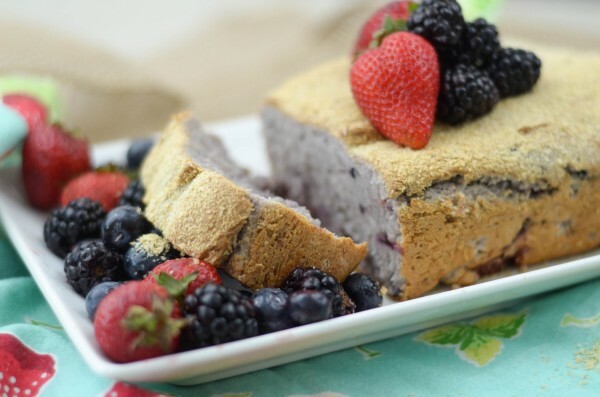 Spray a loaf pan with non-stick baking spray, evenly spread the batter into the pan. Top evenly with additional oatmeal. Bake for 1 hour or until fully cooked throughout. Let cool for 5 minutes, then carefully release and serve. I would really like to try a smoothie with it! I would try fresh fruit with gerber cereal pie. I would try Gerber with apple crisp or granola. I would try making muffins. I would try banana oatmeal bread! I would try to make oatmeal cookies. I would make Banana Oats pancakes with the cereal! We love pancakes. 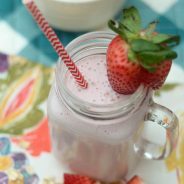 I would use it in smoothies or try your yummy looking recipe! I would like to use the oatmeal and banana cereal in cookies! Well, aren’t you so clever! I think this looks delicious! I would try a bagel or toast and eggs! I would try the bread! Thank you for the giveaway! I would use the Gerber oatmeal to make cookies! I like experimenting with no-bake bars, and would love to try this cereal to make some! I would try some type of bread. I’m thinking I just might enjoy eating as cereal, with added fruit, nuts etc. I like cream of wheat, and seems like this would be a similar texture but with oats instead. I would add this cereal to my zucchini bread. I would try blueberry muffin with Gerber Cereal. I would try making oatmeal cookies with it. That bread looks so good. I would try it in my smoothies. Never thought of this! I wonder how it would work with muffins? I would use the oatmeal banana cereal in a banana bread. I would add it to my morning smoothies. I think cookies would be great or even a berry cobbler! I would make some waffles or pancakes with Gerber Cereal. I would use it in a baked coffee cake! I would try Gerber baby Oatmeal in pancakes. I would try putting the Gerber oatmeal cereal in my smoothie. I would add this in my pancakes and muffins! Maybe the cereal would work in banana walnut bread. I never thought to use baby cereal in baking recipes like this before!! What a great idea, it is so full of nutrients I bet it really enhances the bread. This bread sounds delicious, I love fresh baked bread. I would try to make muffins or some banana bread. I would make banana nut muffins. I would make muffins with it. Thanks for the chance to enter. I’d try using it in oatmeal cookies with white chips and dried cranberries. I would try some oatmeal with bananas in some waffles or crepes! I would try try oatmeal with bananas in some muffins for my granddaughter. I would love to try using it in pancakes! I would try muffins or pancakes with it. I think I would use the cereal as part of a streusel for a crumb-topped berry pie. I Would Try A Smoothie! I think the multigrain would be great in meatballs or turkey meatloaf! I could def go for a slice of this bread right now. So yummy! 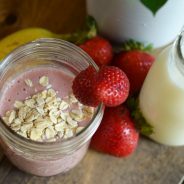 I hadn’t thought of using the oatmeal in smoothies; that’s a brilliant idea! I would use it with fresh fruit and a glass of milk. I would make some muffins and add a little fresh fruit in it too! This is a fantastic idea to use up leftover baby cereal. 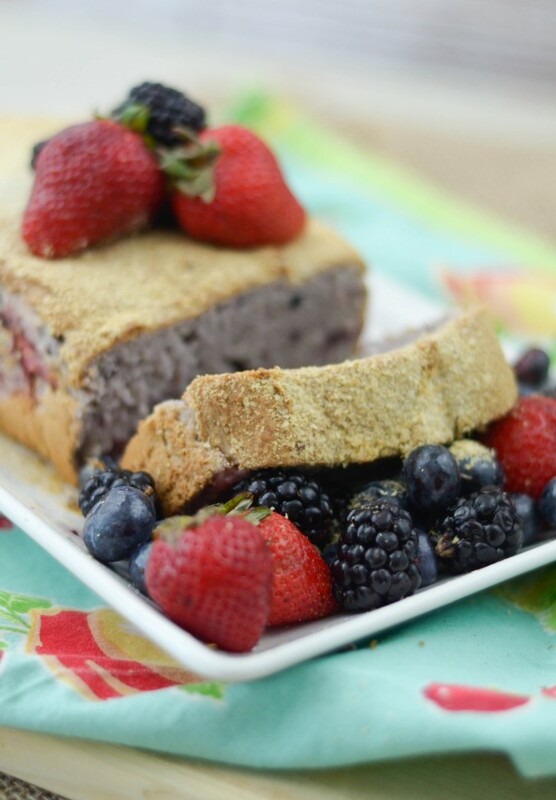 It is always a great way for babies that are moving onto solids to try new flavors! I would probably make some toddler-sized mini muffins! I would love to try them in a blueberry muffin recipe! 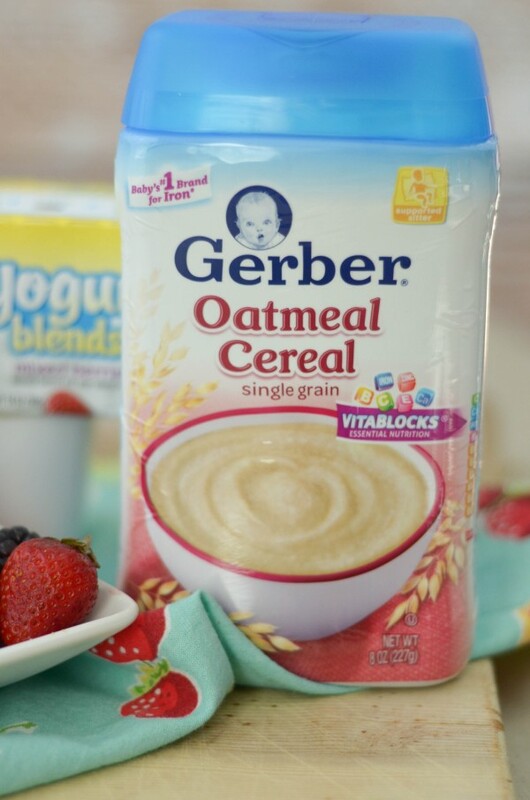 I would try the Gerber cereal in smoothies or use it to take homemade granola bars. I would make banana muffins with Gerber Cereal. This looks absolutely amazing! I neveer knew there were so many things you could cook with Gerber cereal! I cannot wait to try this recipe!